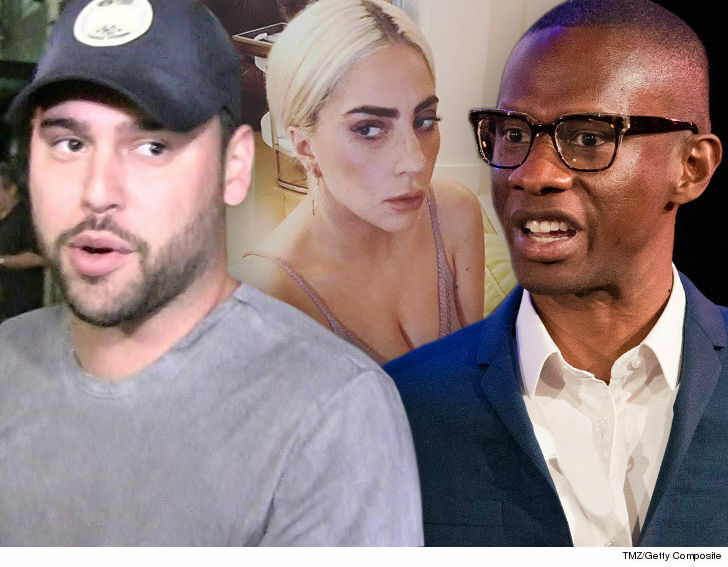 Scooter Braun‘s company claims Lady Gaga‘s former manager has been hiding millions of dollars he got from Gaga over a bitter parting of the ways … money the company says is rightfully theirs. Scooter’s company has sued music manager Troy Carter, claiming it gave him millions of dollars in a business deal. The docs say Carter promised he’d pay back the company back when Troy settled a mega-lawsuit with an artist, who fired him without giving him all the money he was owed. According to new legal docs filed by Scooter’s company, Troy scored $10.8 million in his settlement — which we know was with Gaga. Troy paid Scooter’s company more than $3 million and admits he owes more, but the question is how much. Scooter’s company says Troy still owes him more than $14.5 million, but the company agreed to accept $10 mil to make it go away and still hasn’t gotten it. According to the new legal docs, Carter hasn’t fully paid — despite numerous broken promises that the money was on the way — but Troy was still able to shell out $730k for a painting. Troy allegedly deliberately overpaid on the painting so Scooter’s company couldn’t get its hands on the money. Short story … the company thinks it’s just revenge. Scooter’s company is now asking the judge for an order prohibiting Troy from draining his bank account until the debt is paid. We reached out to Carter … so far, no word back.